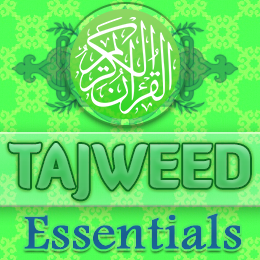 If you are a beginner, and want to learn all the tajweed rules, then EAalim Online has designed this short course Tajweed Essential especially for you. All the rules of Quran recitation with correct phonetic sounds. Sisters! EAalim Online has a separate opportunity for you to learn Quran and tajweed from the comfort of your home. Just register with us to take the benefits from online tajweed course. And start learning today! Session 1: Tajweed & its Importance, Rules of tajweed & Rule of Qalqalah. Session 2: Rules Noon saakin and Tanween, Nasal Sound(ghunna) with Iz-haar & Ikh-faa. Session 3: Rules of Iq’lab & Idghaam ,Rule of Meem saakin. Session 5: Rules of Maddah (Prolongation), Haroof-e-Muqattaíat (Isolated letters). Session 6: Modes of recitation of Quran and Practice. This will be a group class, so you will be having great chance to discuss with your fellow what you studied. This course is specific for females so only females can register for this class. This class will be taken by female teacher only. At EaalimOnline, we aim to provide you the opportunity to learn Quran and Tajweed ONLINE in Short time. We value your time and know that you have a busy schedule with your job or studies.